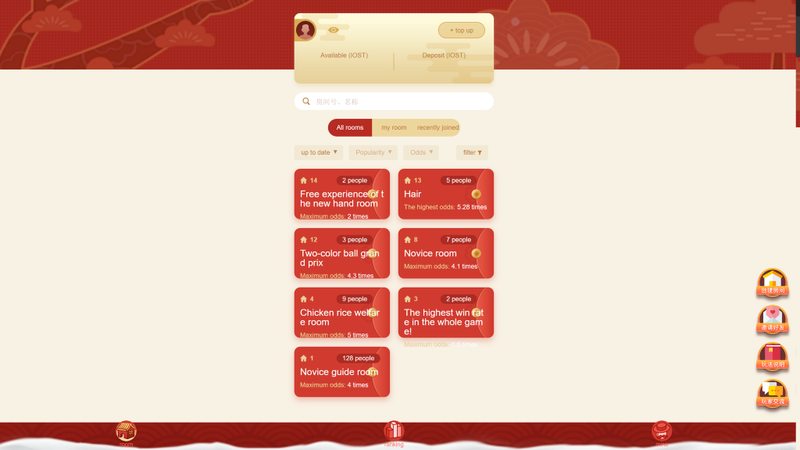 Players can create rooms and set up a red envelope strategy to become owners. They can also enter other players’ rooms to send red envelopes. If the final amount of a red envelope is the same as the agreed number, the player wins. The owner collects the red envelope and the player gets the agreed rewards. New players can receive 10 IOST free of charge. Inviting friends is a permanent reward of 1% of their winnings. If you send out more than 10 000 IOST within a day, and are ranked #1, you can receive 5% of the platform revenues for the day. Only one month after the launch of mainnet, IOST has officially become the the big 4 public chains alongside Ethereum, EOS and Tron. IOST will work hand in hand with developers and our community to build the world’s first scalable AND decentralized blockchain project to bring about global blockchain transformation.